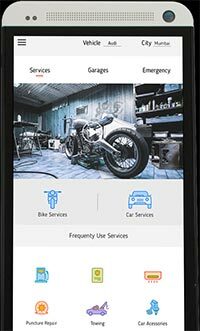 MotoMojo, a mobile app-based marketplace that connects owners of two- and four-wheelers with service stations, has raised an undisclosed amount in angel funding from the founders of startup enabler VentesAvenues. Mumbai-based MotoMojo Technologies Pvt. Ltd, which operates the marketplace, said in a statement it will use the funds to ramp up product capabilities as also for marketing and customer service. VentesAvenues was founded by Niloufer Dundh, Fauzan Rahim and Balamurugan Mani. The firm, also based in Mumbai, is a business enabler that helps startups go to market with monetisation strategy solutions. It specialises in the mobile segment and claims to have about 200 clients in India. The VentesAvenues founders invested in MotoMojo in their personal capacity. "We had synergies at various levels. By investing in them we feel we will be able to best leverage our potential to nurture and grow this startup," said Dundh. MotoMojo was started in March this year by Uttam Arjun, who has earlier worked with companies including Hindustan Unilever and Godrej. "The true idea of a reliable service is lost once the sale or purchase of the vehicle is completed," he said. The startup enables users to connect to service stations or garages for a host of services that includes servicing and maintenance, car wash, denting, painting, engine checkup as well as emergency services like towing and puncture care. MotoMojo has an in-house team of experts to help a customer choose the services. MotoMojo has 2,500 service providers on board across Mumbai, Thane and Navi Mumbai. It hopes to bring the total number of network partners to 7,500 by the end of 2016. The startup is looking to enter Pune next. While all two- and four-wheeler makers in the country have service stations, the after-sales servicing market is dominated by unorganised players and is highly fragmented. MotoMojo will compete with the likes of Mumbai-based MotorExpert, Cross Roads India Assistance Pvt Ltd, Helponwheels.in, TVS Automobile Solutions Ltd's MyTVS, Rescuefirst.com and Carzcare.com in the online auto servicing segment.